Scott Higgs, saw his career change after finishing runner up at the prestigious FIT Show Masterfitter Challenge in 2013. His achievement was followed by a change of employer, as Walker Windows added him to the team within months of taking part in the keenly fought Masterfitter Challenge final. 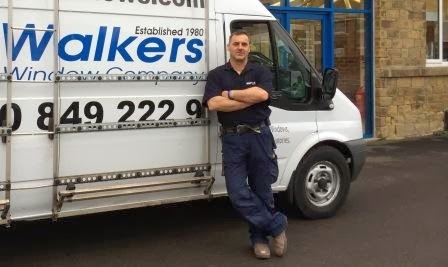 Walker Windows, a Huddersfield based company have been installing high quality Windows, Doors and conservatories throughout Yorkshire since the early 80s saw the potential in Scott and wanted to make him a part of their highly skilled workforce. Scott went on to say “Doing a GQA Qualification has opened up doors to better prospects for me and I now know I’m not going to be just a fitter for the rest of my life. I’m looking forward to doing more in work and with further qualifications through GQA”.